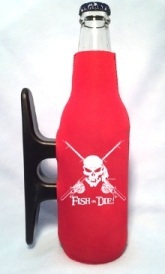 Sand color "FISH OR DIE!" 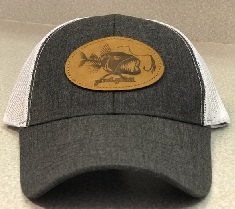 short Sleeve Fishing T-SHIRT - Printed front left chest and full rear on 100% cotton pre-shrunk T-Shirt. 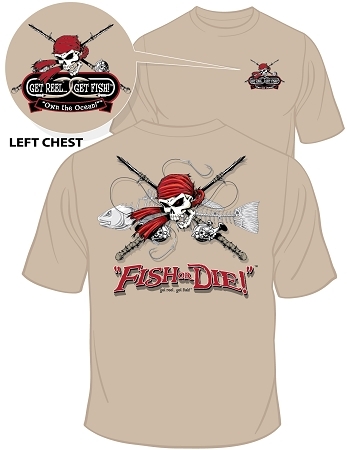 A new color option for our line of best selling Pirate Fishing T-Shirts!